It was a crazy UAAP opening weekend. It was a couple of days filled with surprises. The FEU Tamaraws was their usual steady selves. But apart from that, all the games featured something new to watch. The UP Fighting Maroons looked very impressive in their opening day win. There was also the rookie duel between CJ Cansino and Dave Ildefonso that gave a glimpse of the future. Finally, the biggest shock of the weekend was how the Adamson Soaring Falcons flustered the defending champions. It was a weekend that prompted a lot of overreactions after only one game. Q1: Are the Fighting Maroons Final Four bound? 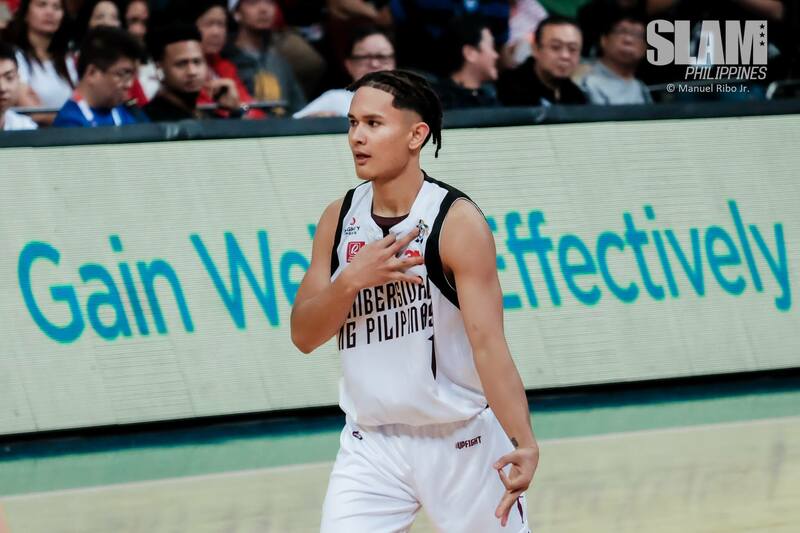 Aljo Dolores – If a team opened up its UAAP season with a 29-point victory, the initial reaction would typically be, “THIS IS A FINAL FOUR TEAM!” I wish I could say the same for UP with all my utak and puso, but I just don’t think it’s the case. Sure, the Fighting Maroons were a Final Four team for most parts of the match against the UE Red Warriors. They started the game with a 10-0 run. They built a double-digit lead in the second quarter. They weren’t relying on isolation plays anymore to score on offense. They had an excellent second half where they scored 54 points. However, there were moments in the game when UP didn’t look like a Final Four team at all. Just when the Fighting Maroons were ready to break the game open in the first half, they let the Red Warriors create runs of their own to close the gap and even take the lead. Take note, this was the UE team who’s still in rebuilding mode. Outside of Pasaol, no player posed a big threat on their lineup. They should be nowhere near the Final Four race. On paper, UP should have won the game easily. Yet, the team needed a whole half before it could dispose its opponent. Aside from that, it’s not like they were the only team who made a statement game last weekend. FEU and Adamson defeated last year’s finalists La Salle and Ateneo. Between a landslide win over a rebuilding squad and a close victory against a championship contender, the latter has more weight than the former. If UP can start beating Final Four-caliber teams like Ateneo, FEU or even NU, then their Final Four bid can be taken seriously. But if the Fighting Maroons will play against the other teams like how they did in the first half against UE, then they will be in for a huge downfall this season. Q2: Is Dave Ildefonso the Rookie of the Year? Polo Bustamante – In his final year in High School, Dave Ildefonso was playing in the shadows of some bigger name stars. he was the third option in Ateneo behind star teammates SJ Belangel and Kai Sotto. He wasn’t event the best player in his position. Juniors MVP, CJ Cansino takes that distinction. That’s why it made sense for Ildefonso to separate himself from that pack and start anew with the Bulldogs. 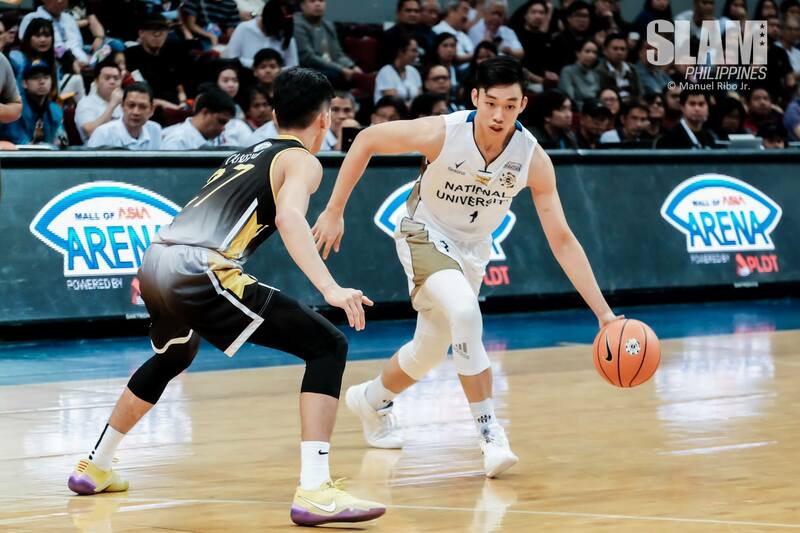 Ildefonso walked into a near-perfect situation to Flourish in NU. He has a solid support system with his brother Shaun and dad Danny on the team. His physical game in the wings fits perfectly with Coach Jamike Jarin’s bruising style. The Bulldogs also lost their top scorer and playmaker in JJ Alejandro, meaning Ildefonso stepped into a vacant role. During NU’s first game, the Bulldogs had difficulty getting into a rhythm early in the game. In the second quarter, Ildefonso took over the offense. He bulldozed his way to the paint for scores inside to keep NU afloat. In the fourth quarter, when UST and Cansino were making their run, it was Ildefonso that hit big baskets and controlled the board, powering NU to the win. One game won’t win him the Rookie of the Year. But Ildefonso’s isn’t playing in anyone’s shadow anymore. He’s enabled and weaponized. In a team full of Ildeofnsos, Dave can make a name for himself. Q3: Are the Tamaraws the most balanced team in the league? 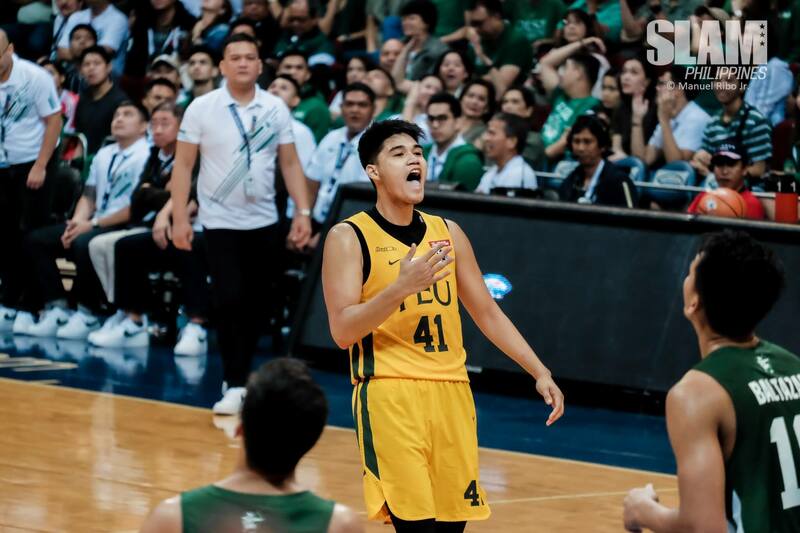 Paolo Del Rosario – With the triumph over last year’s finalists La Salle in their opening game of Season 81, the FEU Tamaraws reminded the league that they are a force to be reckoned with. Apart from Tolentino, Kenneth Tuffin and Axel Iñigo also figured in double figure scoring, while Wendell Comboy, Alec Stockton, and Hubert Cani were all just a shot away from hitting the ten-point mark. In fact every FEU player who got on the court, save for Prince Orizu, ended up scoring for the Tamaraws and gave a significant contribution in the victory. FEU didn’t just do well to get offense from most of their players, they also did a great job at the defensive end by clamping down on the Archers in the payoff period. In the fourth quarter, FEU recovered from a poor defensive third frame by clamping down on La Salle and limiting them to only 13 points. It was the Tamaraw’s defense is what made the biggest difference down the stretch. Ateneo, despite their upset loss to Adamson, probably is the most well rounded team in terms of personnel and execution, but sleep on FEU at your own risk. This FEU squad displayed that they have what it takes to hurt teams on both ends of the court with a variety of weapons. Is FEU the most balanced team in the league? That is debatable. But if there was a poll for it, then the Tamaraws are definitely front runners of claiming that distinction. Q4: Are the Falcons Finals contenders after their win over Ateneo? Jon Carlos Rodriguez – Leaving Makati at 6 p.m. and making it to Quezon City at 6:34 p.m. Paying for a pair of shoes at the cashier and finding out they’re on sale. Getting a free slice of cake at a restaurant because it’s your birthday. These are a few of life’s surprises—freestyling, ad-libbing to shock and awe. Adamson’s win against Ateneo on Sunday is not like any of these things. Adamson had a game plan all day (or was it all month???) long to disturb the Ateneo peace. 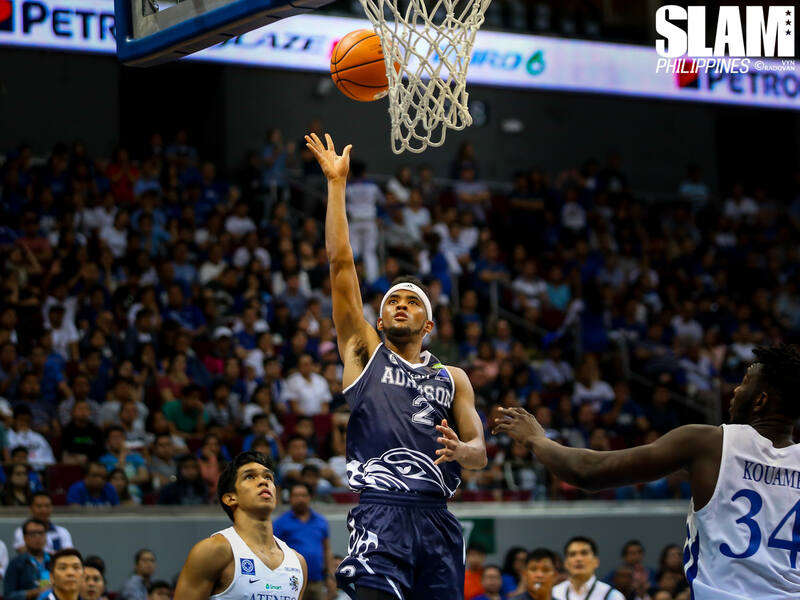 The plan was fully in play in that frantic 58 seconds to close out the first half, when Adamson shed the falcon feathers and became rabid hyenas nipping at SJ Belangel’s heel, messing up Anton Asistio’s hair, and wiping the smile off Isaac Go’s face. The Ateneo Blue Eagles were up nine points one moment, then the Adamson Rabid Hyenas were up 1 point the next. Of course, saying Adamson is a Finals contender after beating the defending (and obviously hungover) champions in Day One is an overreaction. But Adamson prepared for this; Coach Franz Pumaren lost sleep over this (side note: if you turn the volume way up at the final buzzer of the Adamson-Ateneo game, you can hear the ghost of La Salle Franz laughing hysterically). It should no longer be a shock that a group of guys trained by Pumaren’s coaching staff could harass and hurt Ateneo. It shouldn’t be a surprise if Adamson takes the number two spot at the end of eliminations. It’s not crazy to predict an Adamson Falcons Finals appearance. We’re already at Year Three of the Adamson project—we can stop calling it an upset.